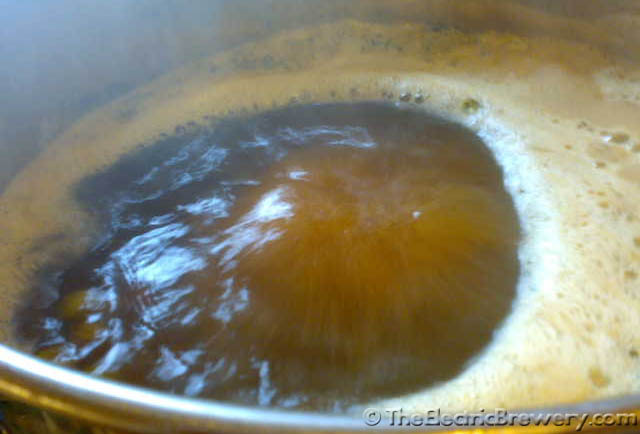 Brewing beer creates a significant amount of heat and moisture. 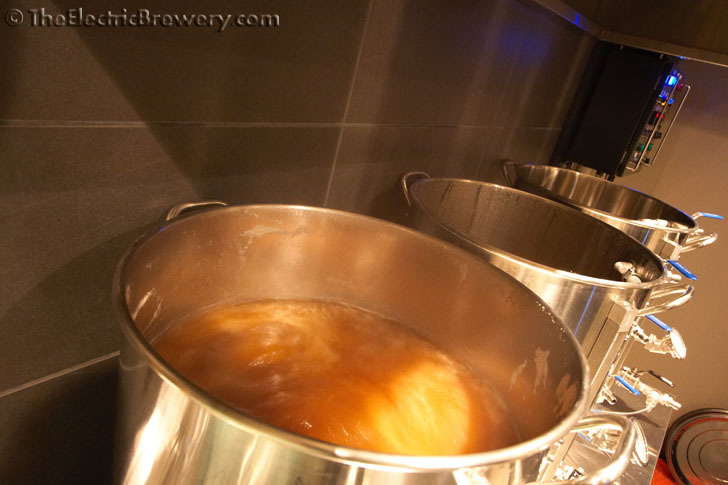 The Hot Liquor Tank and Mash/Lauter Tun create heat while heating strike/sparge water and mashing, however, the lids stay on most of the time, so very little moisture is created by these two kettles. The Boil Kettle creates both heat and moisture as the wort must be vigorously boiled with the lid off to maximize alpha acid extraction from the hops, drive off unwanted volatile compounds, and coagulate unwanted proteins. A rapid simmer will not do, we need a vigorous hard (rolling) boil. Our setup boils off almost 2 gallons of water for each hour of boil. With typical boil times ranging from 60 to 90 minutes, with some as long as 120, this means that somewhere between 2-4 gallons of water is evaporated each time we brew. When brewing outdoors this is a non-issue: Mother Nature takes care of carrying it all off. An indoor electric setup however requires some assistance in the form of a vent hood and a fan to evacuate the heat, moisture, and smell outdoors. While we love the smell of grain being mashed (it's similar to the smell of bread baking), not everyone does. One of the fundamental reasons why we chose electric over gas is that it is considerably easier to vent an indoor brewery safely when electricity is used to heat. Unlike conventional gas burners where heat is applied from below, an immersed electric heating element is 100% efficient as all of the heat is transferred to the surrounding liquid. With a gas burner 50-80% of the heat bounces off the bottom of the kettle and is lost. More heat must therefore be produced. Electric based brewery: Divide the element size (in watts) by 17.6 to obtain the required CFM (cubic feet per minute). In our case we use a 5500W element in our boil kettle. 5500 / 17.6 = 312 CFM. 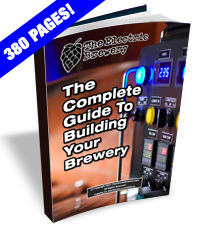 We therefore require a fan that can move a minimum of 312 CFM in order to ventilate our electric brewery properly. Fans this size are readily available and reasonably inexpensive. Gas based brewery: Divide the burner’s BTU/hour rating by 30. Because of the inefficiencies, a 80,000 BTU burner produces approximately the same amount of heat in the kettle as a 5500W element. 80,000 / 30 = 2666 CFM. We would therefore require a fan that can move 2666 CFM in order to ventilate a gas setup properly. A fan this size is not readily available. A commercial restaurant exhaust fan is likely required. 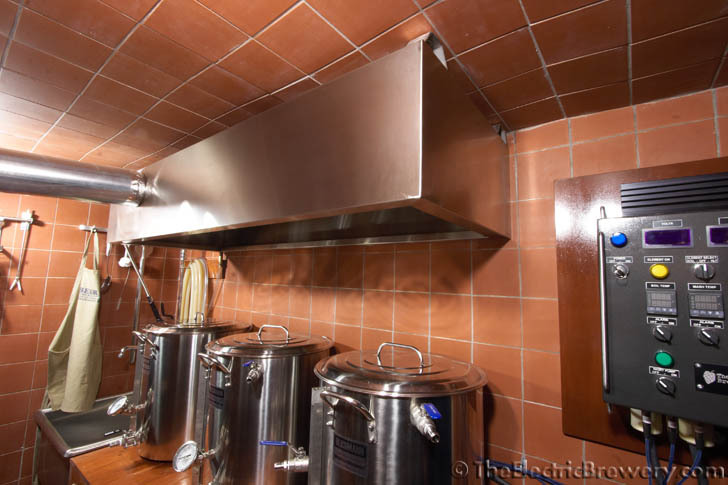 Because of the enormous ventilation requirements of a gas based brewery (8.5 times higher than an equivalent electric setup), an indoor gas brewery is not easily achievable. It requires a massive amount of air evacuation as well as an equally substantial make-up air system. Large fans with ducting larger than 16" in diameter may be required, making safe indoor gas brewing very expensive. It is not uncommon for the ventilation and make-up air system of a gas based indoor brewery to cost more than the brewing setup itself. Comfort: No matter what the temperature outdoors, our brewery is always comfortable to brew in 365 days of the year. No rain or snow, and no parka is needed in the winter months. Consistency: Unlike the outdoors, our indoor electric brewery is always at the same temperature, humidity level, and there is (obviously) no wind. Brew outdoors at different times of the year and you'll experience different temperatures, humidity levels, and levels of wind. These all lead to different evaporation rates, which in turn leads to difficulties in producing consistent beer batch after batch. We use a ventilation system that is able to evacuate all unwanted moisture and heat and confines any odours to the brewery. In this article we'll describe exactly how we accomplish this using a custom hood and an industrial fan.